Vickie Winans is THE quintessential Woman! She is a well admired and established Gospel artist who is responsible for some of the genre's biggest and most memorable hit songs. She is well known for the business savvy both as an entrepreneur, marketer, and manager. And finally and certainly as importantly she is a loving and caring mother of two successful sons and grandmother to two adorable grandchildren. Is there nothing this woman cannot do? Well, the answer is seemingly no...what she does do effortlessly is 'bring it all together' for her Verity Records debut release, "BRINGING IT ALL TOGETHER" which will be in stores everywhere on Tuesday, May 6, 2003. So unique in its presentation, purpose and theme, "Bringing It All Together" is aimed at reaching the whole family. Right off the bat, you know this project is different. The CD cover is designed as an actual jigsaw puzzle that can be taken apart and put back together. This is an unprecedented presentation that matches the whole theme of the album. The record combines musical elements for people of all ages under one Christian umbrella. Who else but Vickie Winans can marry the nursery rhyme of "Happy and You Know It" with powerful ballads like "We Need a Word From the Lord" and "I Promise," added with a few hip-hop flavored tunes like "Shook" and "Know God." Both lyrically and stylistically, Winans worked to include songs for families that speak to their individual roles with each other. Vickie explains her concept by saying, "I am a very family oriented person [coming from a family of 12] and so many times families splinter because they don't have anything in common...the children will listen to one thing while the parents listen to something else. I wanted to create a musical vehicle everyone in the family can come together and listen to Gospel music as one." Featuring children's songs such as "Happy and You Know It," a clever take on the children's standard that encourages and promotes praise and "Kids Love Jesus Too," where children are actually heard praising and laughing. Vickie said she had fun watching the reactions of the kids while they were recording the album. "Children love to feel like they have something of their own and most of what we [gospel artists] put out is for adults and that causes our children to turn to other genres of music. I know the kids will appreciate that I care about making music just for them." "I hope to create dialogue and get families talking to each other," said Vickie. "Different subjects come up in the content of the songs; one example is 'I Promise' which should be a huge song. It addresses the importance for teens and singles to abstain from pre-martial sexual activity. The track is a pop-flavored ballad that deals frankly with abstinence as it cleverly works its way to the wedding march song as a symbol of pride for waiting. The lead single, "Shake Yourself Loose," the first cut on the 17-track project, is an energetic and rousing jam that inspires us to break free from the chains that bind us and hold us down. "We find ourselves in many different situations," said Winans. "Those chains that bind you should only remind you to praise your way through...come on shake loose!" The song literally catapults you from your seat! Both the high energy and Winans' perfect modulation sets off the album in downright praise! Her eldest son, Mario "Yellowman" Winans took hold of the single and proffered up a banging remix of "Shake Yourself Loose" which is a bass heavy, Middle Eastern beat that sets the album on fire. The song is straight up hip-hop praise! Continuing with the "family" theme, Vickie chose her youngest son, Marvin "Coconut" Winans, Jr. to co-produce with her. He wrote, tracked and performed on several cuts on the album. A high point is definitely the beautiful and soothing ballad, "Superman." The song draws a parallel between the natural Superman and her real-life 'Superman' Jesus, and although there is no comparison, she relays the message that there is strength and power in Him. "Coconut writes very much like his father...as the song talks about Jesus being our everything," explained Vickie. "People let us down so much and what always remains is His strong arm...Jesus is my strong tower for real!" Coconut also co-wrote and sang lead with his Mom on the urban slanted "Shook", which is another one of what Vickie calls a "teaching song." Though backed by a hot hip-hot beat, the song talks about the blessings that come from reading and learning from the Bible. The original version, rated "E" for everyone, features a contemporary production that literally everyone can groove to. The second concept is rated "FSJ" for Family Slow Jam and it is a real smoothed out version of the song, rated "K" for Kids is like stepping into a simulated Playstation game with Vickie and Coconut. 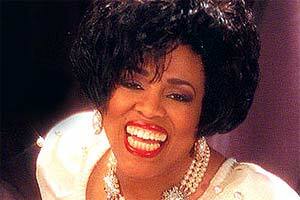 Of course, Winans doesn't abandon her roots all together on this project. She keenly includes good ole' traditional church rooted music in selections like "JESUS" an upbeat praise selection and the Thomas Whitfield classic, "We Need a Word From the Lord," which is a magnetic worship ballad that has perfect timing in today's war-ridden climate. "I heard a 14-year old girl sing the song and it really ministered to me and brought tears to my eyes," explained Vickie. "Every time you turn on the news, you get a bad report. Can somebody please give us a word from the Lord?" Vickie concludes her thoughts by stressing that "Bringing It All Together," unlike her past offerings has something for everyone. "I wanted all members of the family to know the joy, the bonding and the fun of listening to and singing Gospel music," she said. "I want to also reach the masses and with the help and strength of the Lord we will reach them with the message of Jesus Christ. I want to do my part and hope that music can be part of what brings Gospel to the forefront." Vickie Winans, is the "Joy Princess of Gospel," dubbed so, because when she walks into a room, she brings with her joy, laughter, and praise. We find those elements on this album and delight in her energy and excitement to spread His message to people of all ages.